Here we have a recipe for honey glazed ham, and some alternatives you might like to try, and a short explanation about Hickory Ham. Obviously, ovens vary – so use your discretion and experience with your oven, and be careful not to burn the ham!! 1 – 2 tablespoons of honey (clear rather than granulated honey) – please see my page about buying honey ethically - click on the icon in the right hand column (opens a new page). a good sized ham joint – do check whether or not the ham needs to be soaked before cooking! The above glaze is sufficient for a ham of about 1 kg. Wrap the ham loosely in foil, and bake for 20 - 30 mins per 450g (lb), plus 20 minutes. For large joints over 4.5kg, allow 15-20 mins per 450 g (lb) plus 15 minutes. Mix together the honey and mustard and set aside. Once cooked, remove the ham from the oven, and turn up the heat to 200 °C. Remove the rind from the ham joint to leave a fairly even layer of fat. Score the fat, to make a ‘criss-crossed’ diamond shaped pattern. Stick a clove in the centre of the diamond shapes, spreading them evenly around the joint. Spoon the honey mustard glaze over the whole of the ham joint, and return it to the oven to brown for approximately 15 minutes, or until brown and golden – be careful not to burn the joint. A couple of drops of Tabasco sauce. Cover the ham with about half of the glaze. Put the ham in the oven for 5 – 10 minutes. Glaze the ham once more with the final half of the glaze. What's the difference between Hickory Honey Ham and Honey Glazed Ham? What makes Hickory Ham distinct from Honey Glazed Ham? Well in the USA, hickory honey ham uses ham that has been smoked using hickory, which is a type of tree of the genus Carya. 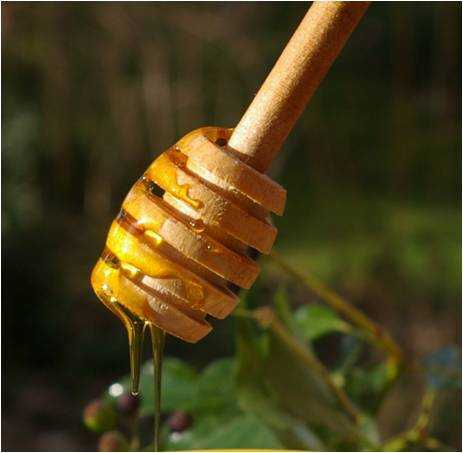 In addition, hams can only be labelled "honey-cured" if honey was at least 50% of the sweetener used. What if you run out of honey? What if you'd like to try some other sweet glaze for your ham? Maple syrup, for example, is of course, delicious! Well, you can always experiment! However, you might like to taste these before covering your ham. Once cooked through, hams can simply be studded with cloves, then sprinkled with demerara sugar, then returned to the oven to brown. Take a look at the science, and the recipe!